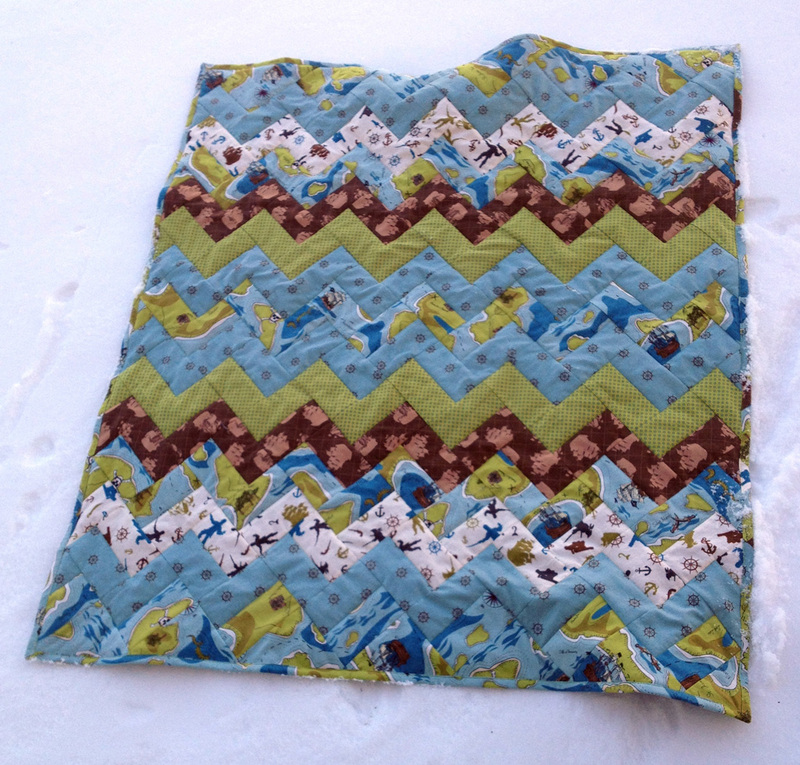 A quilt to keep you warm on an ice brrrgh, matey! Well, it’s been way too long since we posted anything here. We’re going to try to update this more often, but currently aren’t making any promises on how often that will be. 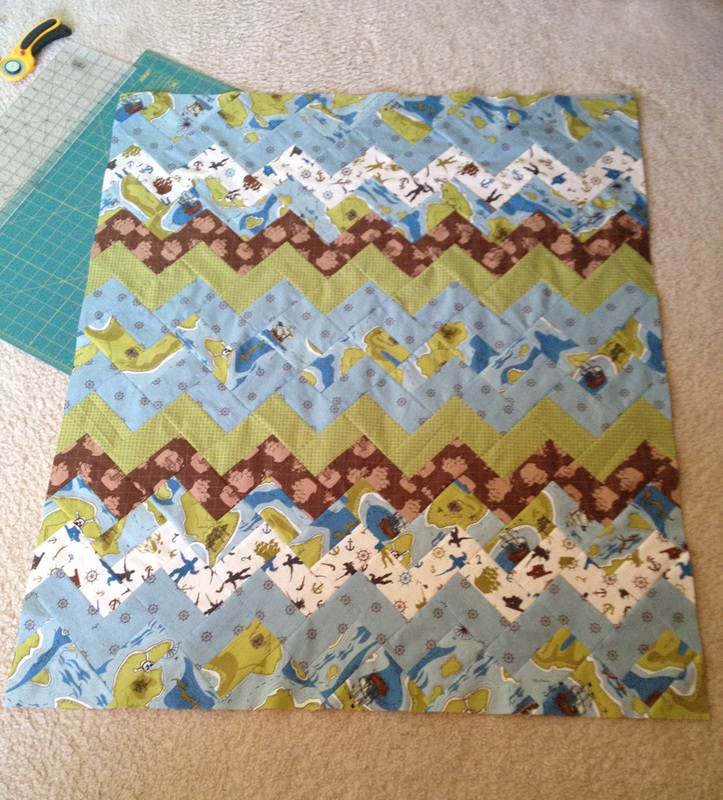 Anyway, I had enough scraps leftover after making a baby quilt for a friend that I decided to make a second quilt! 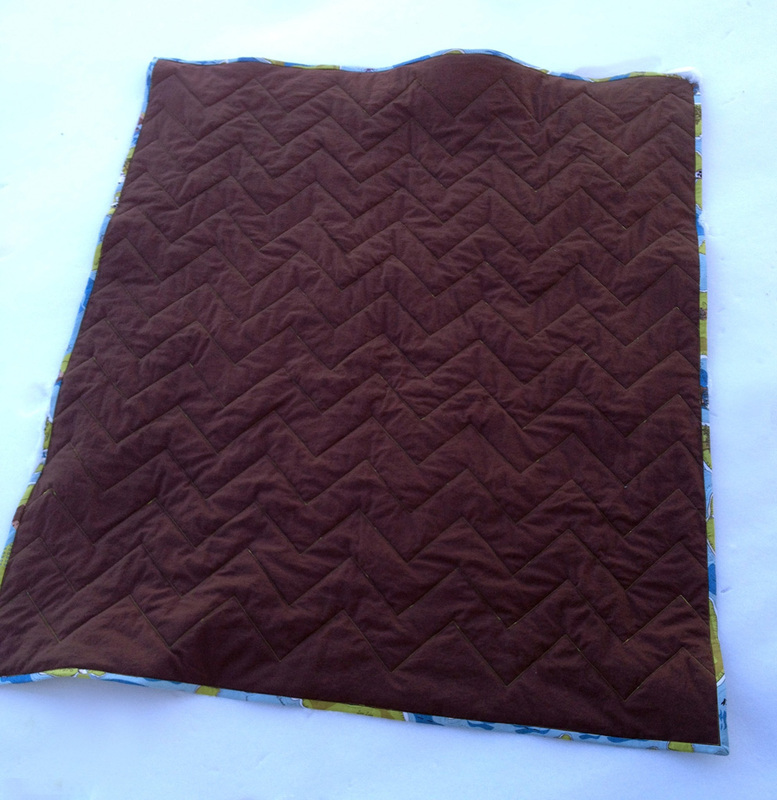 I found a great tutorial for a chevron quilt using rectangle pieces (instead of triangles) at Crazy Mom Quilts. I adjusted it a bit to make a baby size quilt. First I cut out a ton of rectangles and played around with them until I found an arrangement I liked. 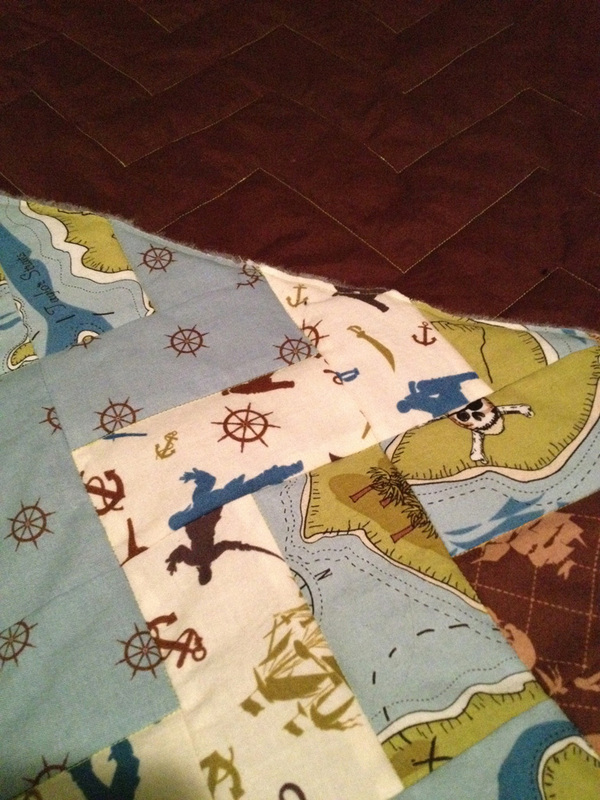 Piecing the quilt took a lot longer than anticipated… several months. Mostly because I kept on working on other things. 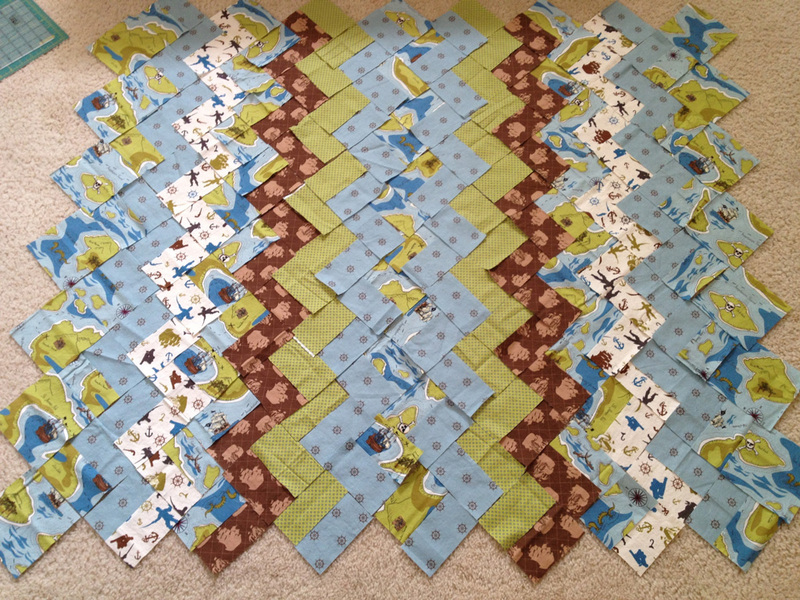 I started in August… and finally finished piecing it by the end of December. 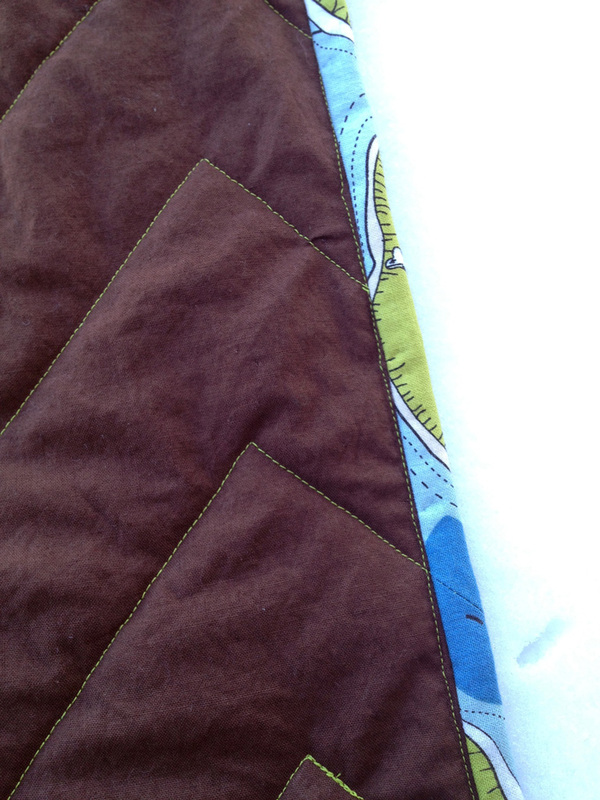 I decided to back the quilt with a solid brown and quilt it with green thread. Yes, every mistake is pretty obvious with contrasting thread, but I like the look. 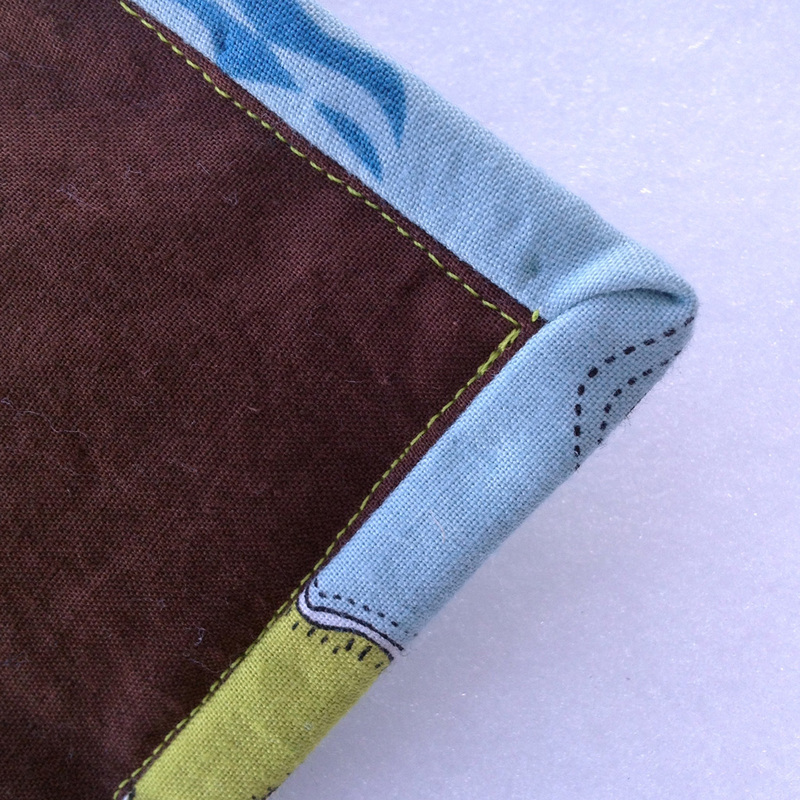 Yesterday I finished making the binding and attached it to the quilt. 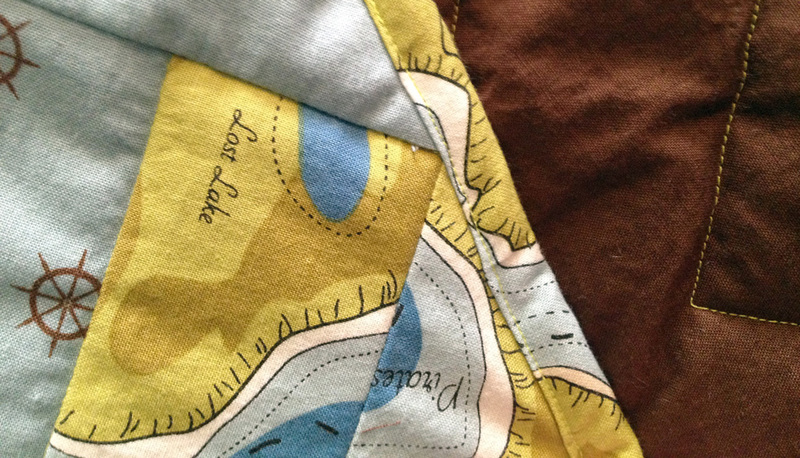 Today I finished machine binding the quilt. Again, I checked out a tutorial from Crazy Mom Quilts. Binding a quilt intimidates me, especially tacking down the binding by hand (so much time involved!) 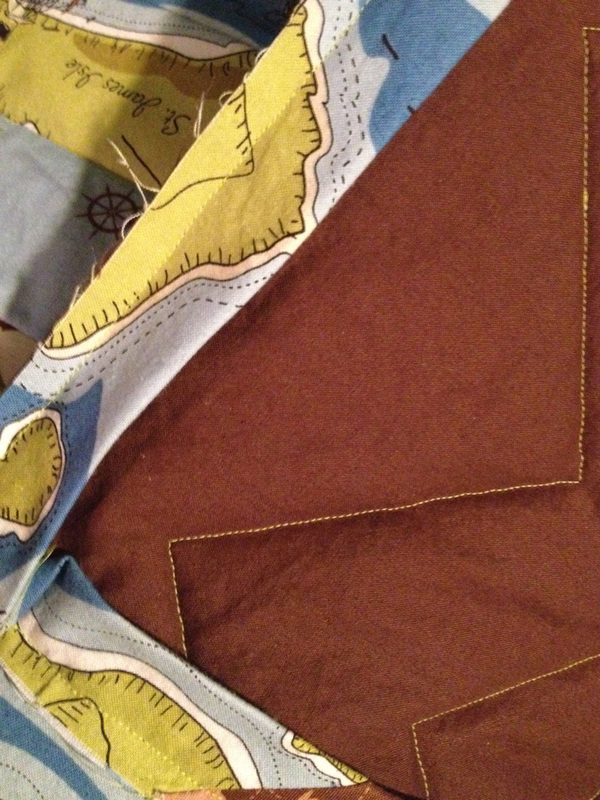 so machine binding made sense. I think it went pretty well for my first time! So here’s the finished quilt! It measures roughly 37x 42 inches.